Burnt Store Isles, one of Punta Gorda Isles’ sister communities located less than 5 miles south of Downtown Punta Gorda, had its very first property owners move into their new home in 1980. Comprising of approximately 15 miles of concrete seawalled canals that are maintained by the City of Punta Gorda, Burnt Store Isles now has approximately 900 single family homes and still plenty of undeveloped vacant lots to build your new custom home on. The waterfront residents enjoy easy access out to Charlotte Harbor through Alligator Creek without any bridges to clear. Golfers can spend the day practicing their swing, with 18 holes, par 72, at the nearby Twin Isles Country Club, a private members only club, and where you can also enjoy great food, tennis, and social activities. 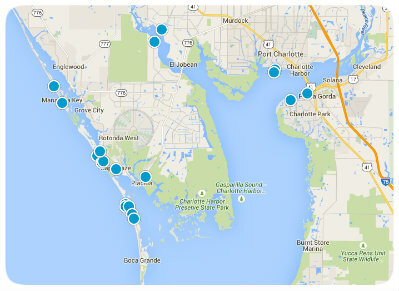 There are also walking and bike paths that have been built throughout Punta Gorda to benefit your fitness regimen.